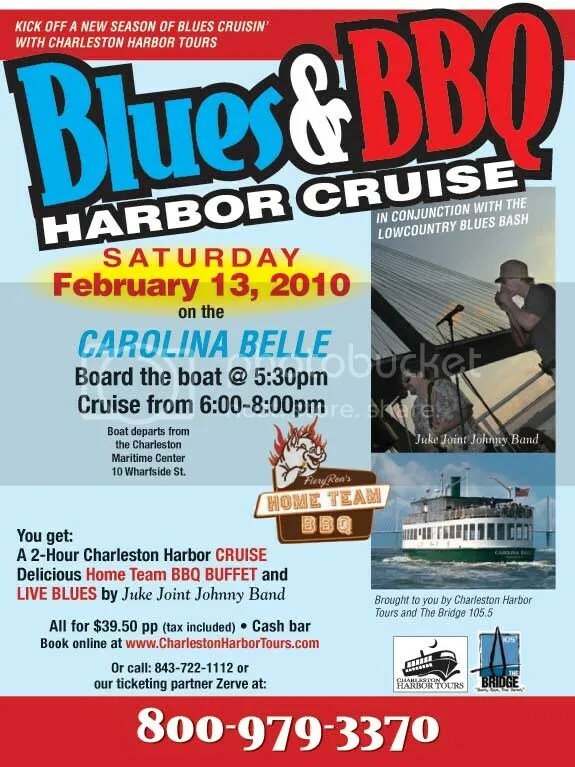 This entry was posted on January 27, 2010 at 5:26 pm and is filed under Uncategorized with tags bridge 105.5, carolina Belle, Charleston Blues, Charleston Blues & BBQ Harbor Cruise, Charleston Cruise, charleston harbor cruise, charleston music, charleston views, home team bbq, juke johnny band. You can follow any responses to this entry through the RSS 2.0 feed. You can leave a response, or trackback from your own site.